As it is true for all our software products, SimuSage can be used in all fields where thermochemical data is available. Through our international cooperations, we can offer databases that can be used for many applications. 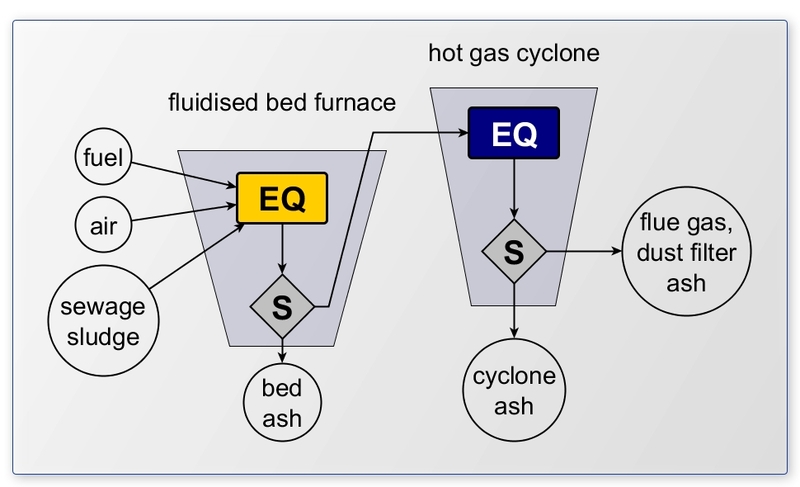 SimuSage has been used for many metallurgical simulations and for optimization of cement making, but also for modelling power plants or even pyrolisis of sewage sludge. 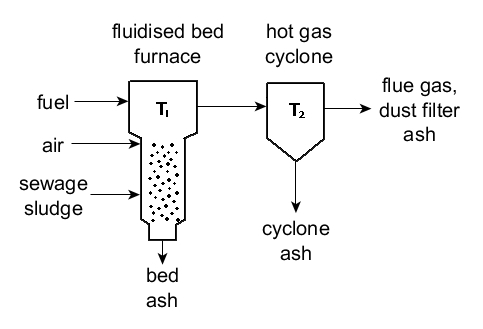 The following sequence of figures shows how SimuSage is applied to a process in which a fluidised bed reactor with a hot gas cyclone is used for the pyrolysis of sewage sludge. 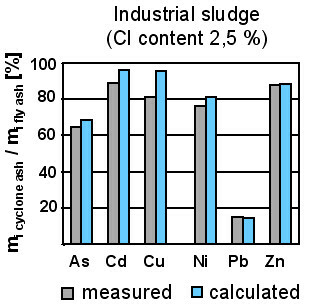 Are you interested to learn how SimuSage can be used in metallurgy?